Brian Nyman sent in this picture of a fantastic-looking '60 Ford F100. It looks great! This is a nice burgandy '64. 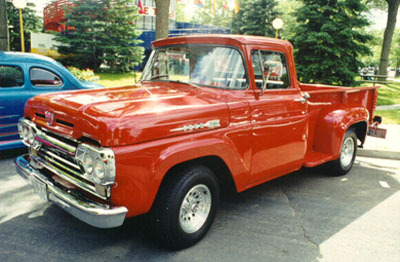 Of all the Ford trucks of the 1960's, the '64 is one of my favorites. John E. Purut owns this potentially fantastic '65 F100. He is bringing this truck back to its glory! To see more of his Ford truck collection, check out his website. Here is an original 1967 F-100. There is a lot of potential here. 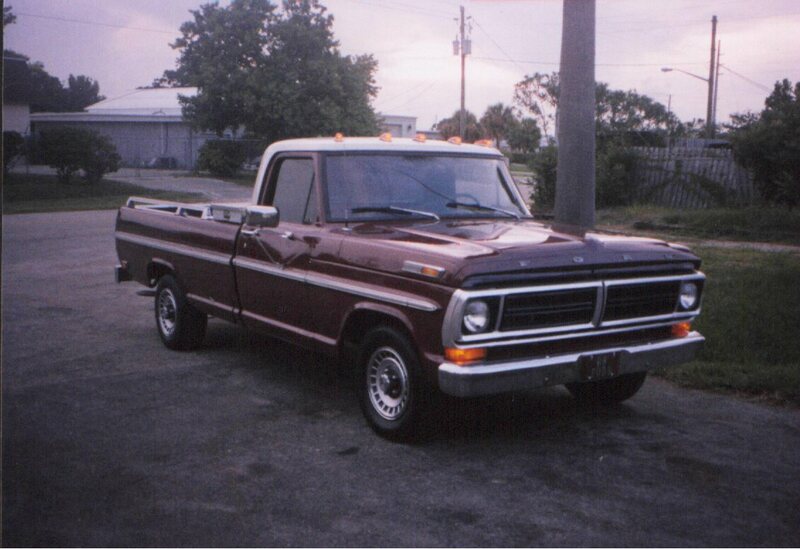 Lisa Collison from sunny Florida sent in this picture of her '68 F100. It LOOKS like a '72 (because of the grill) however, the original steel grill has been replaced. Check out Lisa's webpageand see a picture of her '72 Mustang ragtop. I'm sorry my '60s page is so lean. I am having difficulty finding pictures of these trucks. If you have any, please e-mail me some.